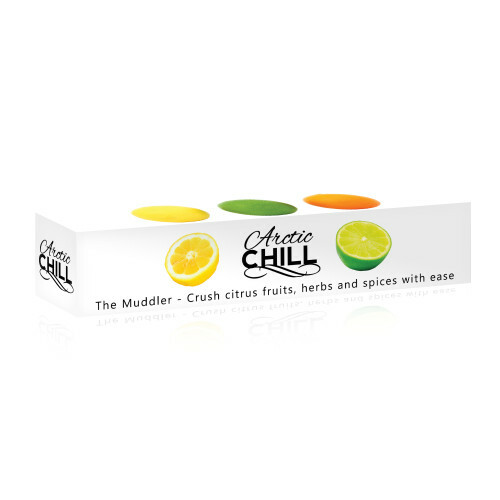 Arctic Chill recently sent us their muddler to try out. A small company born by a couple bros (actual brothers), Arctic Chill has set out to manufacture the highest quality bar ware and kitchen products. So I put their muddler to the test in an actual bar environment, at Grand Cafe. Overall I was not particularly impressed. It’s a little short for my liking. I prefer a 10″ or longer muddler as it allows large hands like mine to fully grip the handle and not bang into the rim of the mixing cup. Also, the toothed design, while appearing to be more effective for mastication, in fact does not mash veggies or herbs as well as a flat-ended muddler. It may be slightly better with citrus fruit, but that’s fairly limited in terms of what one would typically use it for. Lastly, the two-part construction seems like it could present a problem over time. After only a couple days the head on my muddler appears to have been slightly knocked out of place. I worry that it will eventually fall off entirely. 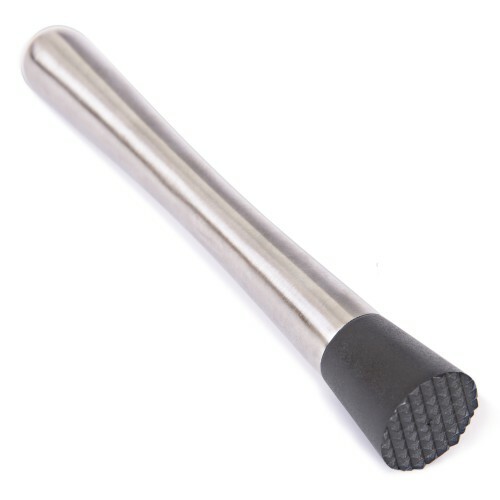 Overall I would not recommend this product over anything but the most basic of muddlers. My preference trends larger and I like a flush end to mash smaller things like herbs and cucumber. That said, if it was a little bigger and a little heavier, it’s not the worst… I know, a glowing review.